Blue Inscription - Your Chance. Business Concept with Cartoon Icons. 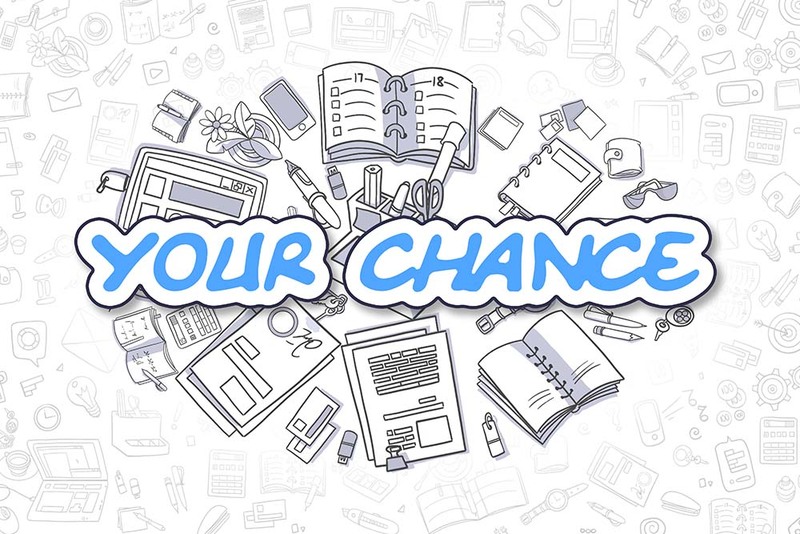 Your Chance - Hand Drawn Illustration for Web Banners and Printed Materials.